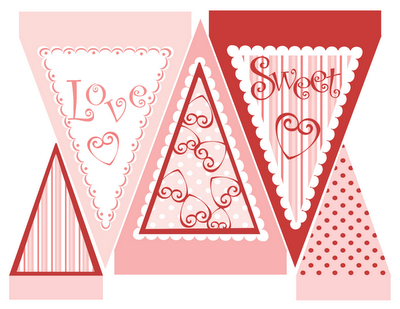 Check out this super cute Valentine's Day banner. Simply print it out and hang with your choice of ribbon or twine. Image from Tricia-Rennea. First scene via Design Dazzle.